much love, illy: sponsor love: Le Mode Accessories Giveaway!! i seriously use my traveling paths handbag pretty much every day. it's the perfect bag to carry all my daily junk (including my camera) - and it's definitely my bag of choice for road trips to GA! it's stylish and roomy - and i looooouuuurve it! Le Mode Accessories is an online boutique that is your source for trendy and affordable fashion jewelry, handbags, and accessories. With trends always changing, you can always find new items being added. So whatever you're in the mood for, Le Mode is sure to satisfy your current craving! $25 gift card to Le Mode Accessories!!! i mean come on - is that not soooooo ridiculously awesome!?! and with the collection of accessories that Le Mode offers, you could go craaaazy with so many lovelies to choose from. visit Le Mode Accessories and comment below with what you'd spend the gift card on if you win! keep in separate comments to count as individual entries! use coupon code ILLY at checkout or 15% off of your entire Le Mode Accessories purchase! Giveaway is open to US and Canadian Much Love, illy readers thru August 1st. Winner will be announced on August 2nd. I follow Le Mode on twitter! i like Le Mode on fb. I would definitely spend the gift card on the traveling paths handbag! But in Nutmeg! That bag is adorable, and I can't pass up a fashionable, usable purse! I also follow you on Twitter! Yay! And I now officially follow LeMode on Twitter! I love the Bohemian Dreams Necklace, complimentary contrast necklace & the Sweet Love Necklace in Blue!! OFFICIALLY tweeted about the giveaway! And Le Mode is liked on Facebook! wow they have such a lovely variety! it'd be really hard to decide what to spend it on but i do love the Summer Mosaic Statement Necklace & the Luck be A Lady Studs in Yellow. and i follow you on twitter of course. I would definitely spend the card on that gorgeous "Distinguished Travels Messenger in Grey" on page 3. The skies the limit necklace is exquisite! i really love the Brimming Gold Crossbody bag! sooo cute! i love the Sweet Love Necklace in Blush! i Like Le Mode on FB! I like the "a roaming she is" backpack in black! So i'd put that gift card towards buying that! I've always wanted to! following you on twitter also! I like Le Mode on Facebook under: Nicole O.
Floral Wallpaper Necklace is my fav! I adore the jasmine clutch!! I really like the sweet love necklace in blue - so pretty! i like lemode on FB. i follow much love, illy. i'm now following @shoplemode on twitter. i follow much love, illy on twitter! I "like" Le Mode on facebook as Tori Radday. I like the school days messenger and the weekend delight messenger! i would put it towards the unexpected expectations handbag! or the traveling paths handbag! love love love! Oh boy I LOVEEEEE the Bohemian Dreams Necklace. Amazing!!! Liked Le Mode Accessories on FB! I'm obsessed with the Weekend Delight Messenger in Taupe!!! i love the buzzed for spring earrings! I love the A-bow-able Bracelet in Silver on her shop! SO ADORB! I *love* the Weekend Delight Messenger in grey, but the bracelets are super cute too! Love her shop!! I'd put it towards the Bright Days Ahead Handbag in Green. i follow shop le mode on twitter ! Oooooh, me, me! I think I'd put the $25 credit toward The Canvas Charmer Satchel in Black by Nila Anthony. PRETTY! I follow Le Mode on Twitter. I'm a public follower of your blog. AND I like Le Mode on Facebook! and I follow this blog! love the gold spear earrings! I'm smitten with the Sky's the Limit necklace. In fact, I love just about all of their necklaces right now! I'm also a GFC follower of Much Love, Illy! thats one of my favorite dresses you have! AND of course i love that bag....worn mine to death! I would spend it on the bohemian dreams necklace! love the uptown girl messagner bag! I'd use the giftcard to buy the Blues Diffusion Ring in Silver! Following Le Mode on twitter! 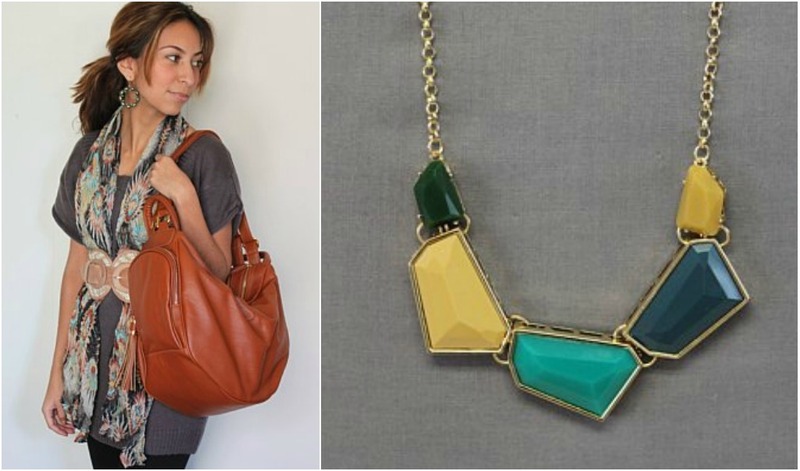 I would love the contemporary stones necklace in blue! Love the It's Simply Love Necklace in Gold. I would definitely by using it toward the purchase of one of their handbags. Great giveaway! I loooooooove the Weekend Delight Messenger in Taupe! Awesome giveaway! I'd get the Strolls in the Park Scarf! Thanks for the chance. I follow shoplemode on Twitter! I definitely like "Le Mode" on facebook! I've been looking at the traveling paths handbag and am pretty sure I'd use the credit to pick one up. WOW! I've fallen in love with pretty much everything in the store! 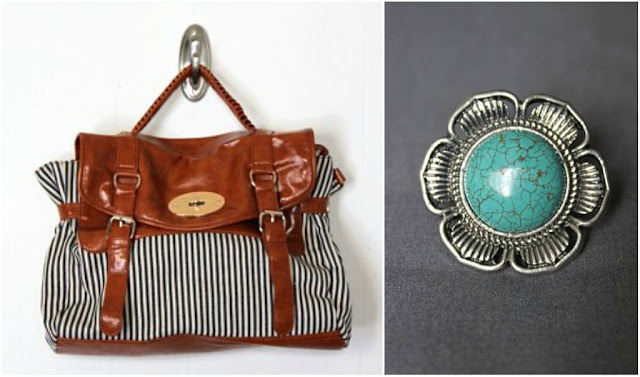 It's hard to choose just one thing but I would probably get either a gorgeous necklace or handbag! I "like" Le Mode on Facebook! I follow @muchloveilly via Twitter! I "like" Le Mode on Facebook. I follow your amazing blog. if i win, i'm spending this gift card on that new traveling bag you just showed off in your latest post. I NEEEEEEEEEED. Umm, seriously?! THAT BAG! I absolutely love it!